Lighten any dreary day, and start every bright morning off with Daily Promises from God. 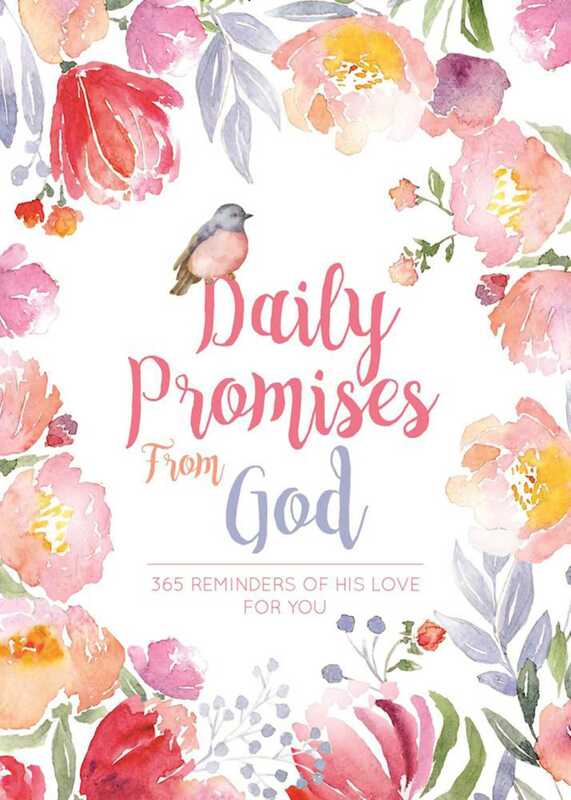 This special book is a 365-day devotional filled with uplifting scripture to fill each day with a reassuring reminder of God’s love. Peaceful, colorful backgrounds complement the beauty of the words on each page, creating a tranquil way to engage with every verse. This beautiful collection of God’s loving words will help you weather everyday challenges and fortify your relationship with God. The perfect little gift book or personal keepsake, this small book is just the right size to carry with you in your bag, on your daily commute to work, or on the way to school. Read the promises, commit them to memory, and hide them in your heart for when the going gets tough. Daily Promises from God ensures that each day comes with heartening reminders of how God is always with us.